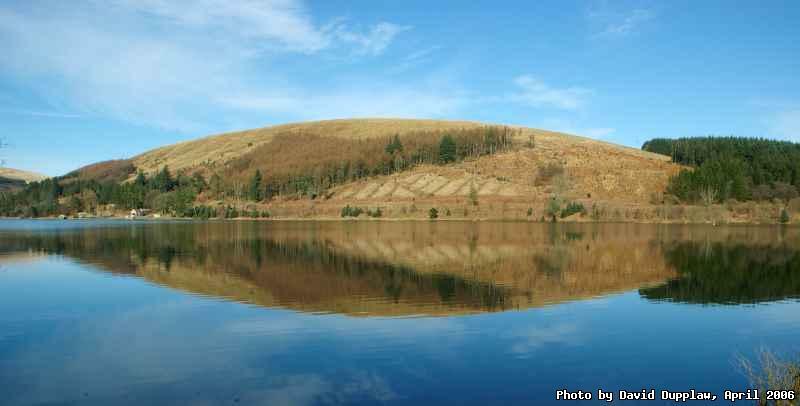 Another of the reservoirs in the Brecon Beacons. Peaceful and tranquil as this photo looks, there was a bunch of yobs in the car park with their boom-boxes in their cars blaring and the boots wide open. Such a shame we couldn't stay longer to take more photos as it was lovely, but the Merthyr Tydfil teenage kids were somewhat intimidating. I fly to Amsterdam tomorrow. Unfortunately I arrive late tomorrow (Tuesday) evening, and leave Wednesday evening following a day in a meeting, so I probably won't get time to take any photos :( However, at least it's only �50 return flight, which isn't bad.